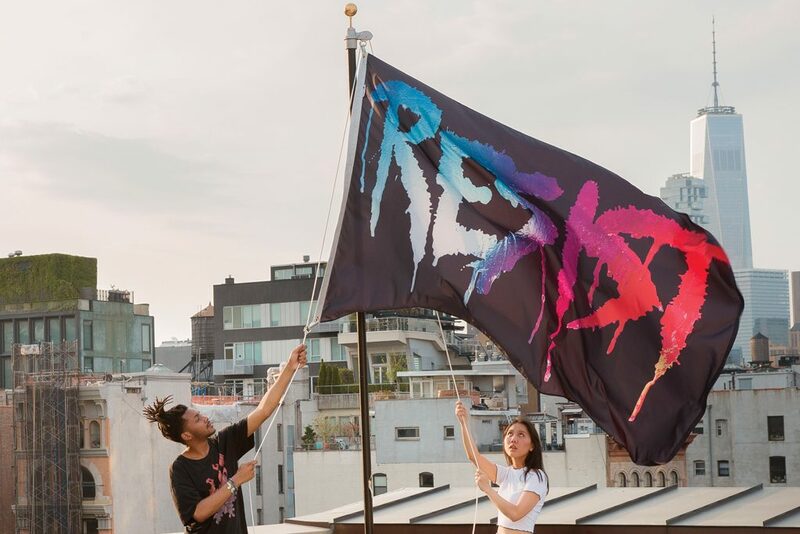 The RASL Events flag (right) is flown at every event and has been designed and made by students Gabija Bubnytè, Eveline van der Duim and Lotte Gerick. Catch the flag and our next event at WdW Center for Contemporary Art in September! More info below. In January 2018 RASL started organizing public events that are a co-creation between students and staff members of our respected institutes (EUR, WdKA and Codarts). 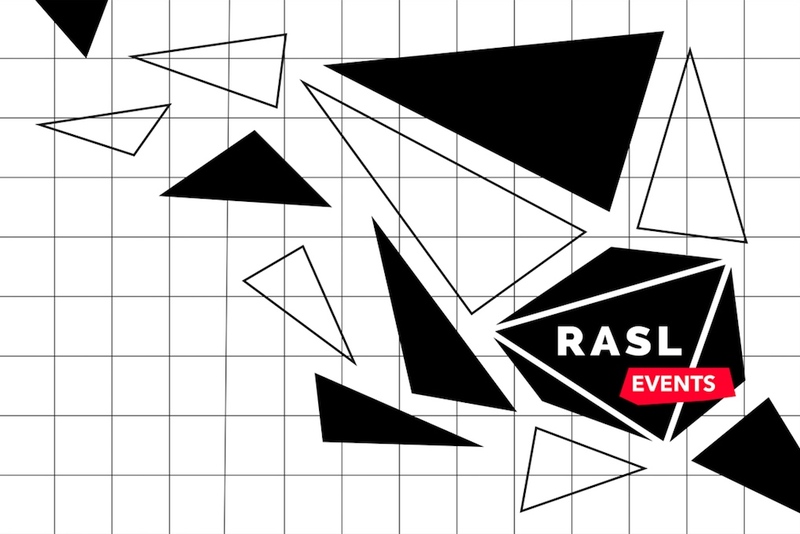 RASL Events is a platform where art meets sciences and where art worlds meet and greet. 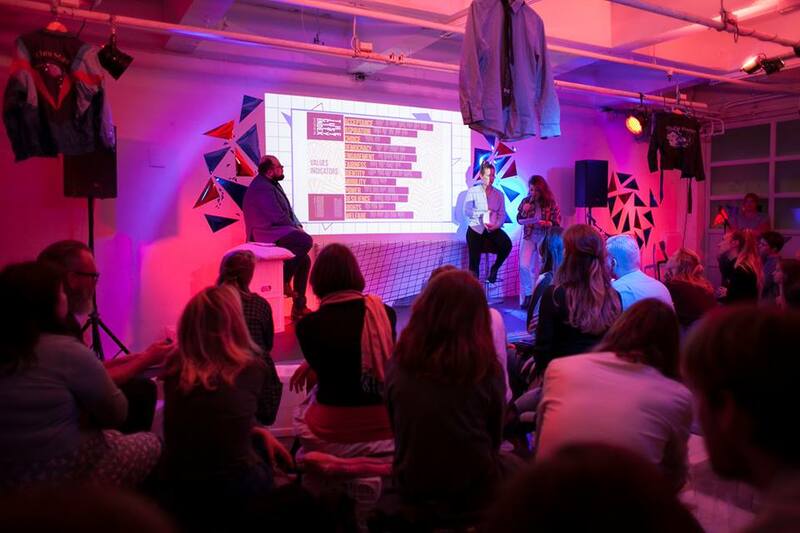 For students, RASL Events is a platform where they can learn to be a player in the cultural sector and can connect and learn with professionals working in their locality of Rotterdam. Our students can develop their network. Moreover, it is a platform where they can talk about their own talents and artistic practices. RASL Events organizes three Art & Science Talk Shows per academic year, in collaboration with various cultural organizations based in the city of Rotterdam. Additionally, RASL Events organizes dialogues between artists and sciences, as well as one major event for which an internationally acclaimed keynote speaker will be invited to share his/her ideas on currents affairs in the fields of science and art. This was our first Art & Science Talk Show on Thursday May 3rd. It’s theme, (Inclusive) Gentrification. The talk show consisted of three items: In the Spotlight, Student Talk and Talk of the Town. New York has Brooklyn, Berlin has Prenzlauerberg, and Rotterdam has Katendrecht. City districts where you can buy vintage clothing and furniture, where you can stroll from concept store to concept store, where you can see youngsters in coffee houses sippin’ on their lattes, and where you can eat biological foods and gourmet burgers. If you find yourself amidst of those places, then there is a reasonable chance you are staying in a gentrified neighbourhood. Gentrification is commonly understood as the “upgrading” of a city neighbourhood in social, cultural and economic terms. Yet this common-sense definition is a controversial one, as gentrification implies the social construction of space by and for more wealthy users and therefore the displacement of former, less affluent residents and their businesses. Gentrification, albeit “embraced” by real estate agencies and local governments as a policy instrument, is thus no neutral term. While it might reduce crime rates and may improve the quality of housing, living and food, it also changes the socio-economic and racial composition of a neighbourhood, resulting in a loss of social diversity, increasing social inequality, and an emphasis on consumerism. Or… might there be ways, perhaps, to make gentrification not an exclusionary but an integrative process? Is there such a thing as inclusive gentrification? While for most this seems like a contradiction in terms, the talk show explored possible strategies of making gentrification inclusive. Guests were invited for each item. In the Spotlight (on the venue that hosts the talk show), Student Talk (on student initiatives) and Talk of the Town (on a theme related to Rotterdam). With, amongst others, Janna Michael (post-doc researcher ESHCC), Janpier Brands (creative director WORM), Natasha Taylor (artist), Boo van der Vlist (tutor at WDKA and EUC), and an introductory video on “gentrification” by Brian Doucet (Associate Professor University of Waterloo, Canada). Live music interludes were performed by Florieke de Geus (ACW student) and Joachim van Praagh (guitarist). Hosts were Nadia van Vuuren (MA student ESHCC) and Niels van Poecke (lecturer ESHCC). This edition of the Art & Science Talk Show was organized by RASL Events & WORM. Image Credit: I. W. Ramos.